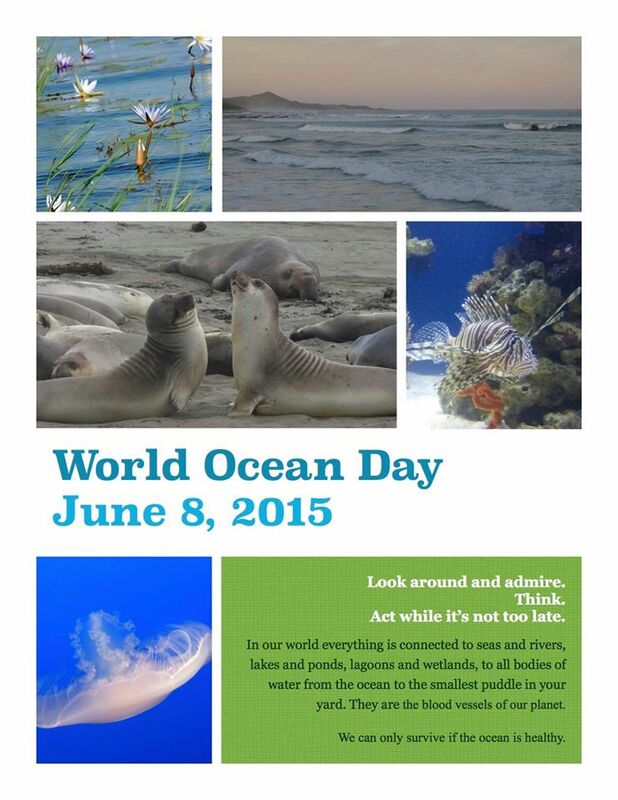 Take 5 minutes of class time for World Ocean Day. Look around and (1) ___________. Think. 2) ___________while it’s not too late. In our world everything is 3) ___________ to seas and rivers, lakes and 4) ___________, lagoons and wetlands, to all 5) ___________ of water from the ocean to the smallest puddle in your yard. They are the blood vessels of our planet. We can only 6) ___________ if the ocean is healthy. Key: See the poster above. This is really easy to use in my class! the music is very touching,the passage is simple but very profound. thx. to be a teacher is always a dream yet to come true. so i will save every useful materials for future reference. Thanks, Yin and Universal Gentleman. Glad you liked it!